Tens of thousands of people took to Milan’s streets on Saturday to protest against what they said are racist policies promoted by the national government. 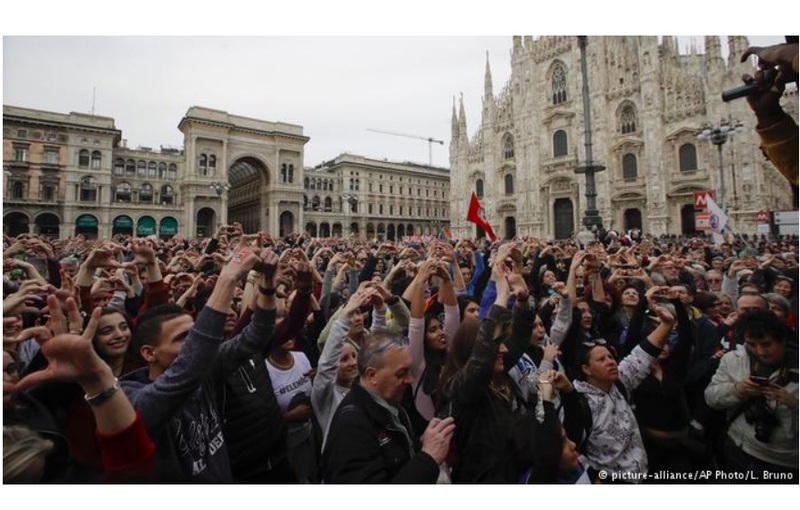 The demonstrators played bongo drums and trumpets as they gathered in front of the Duomo under the slogan “Prima le persone” (people first). The refugee crisis, Who is responsible? The phrase plays on the “Prima gli Italiani” (Italians first) slogan used by Italy’s anti-immigrant interior minister, Matteo Salvini. 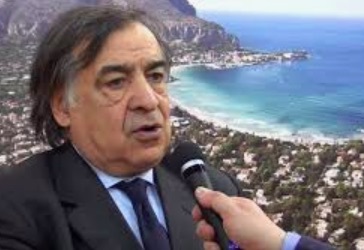 The rally was a “powerful political testimonial that Italy is not just the country that it is currently being described as,” said Milan Mayor Giuseppe Sala. Milan’s social issues councilor, Pierfrancesco Majorino, claimed on Twitter that 200,000 people had shown up for the protest. “Salvini, count us,” he said. Salvini’s right-wing League party entered into government with the populist Five Star Movement in 2018. Since then, Italy has repeatedly refused to allow humanitarian ships that save migrants in the Mediterranean Sea to dock at its ports. 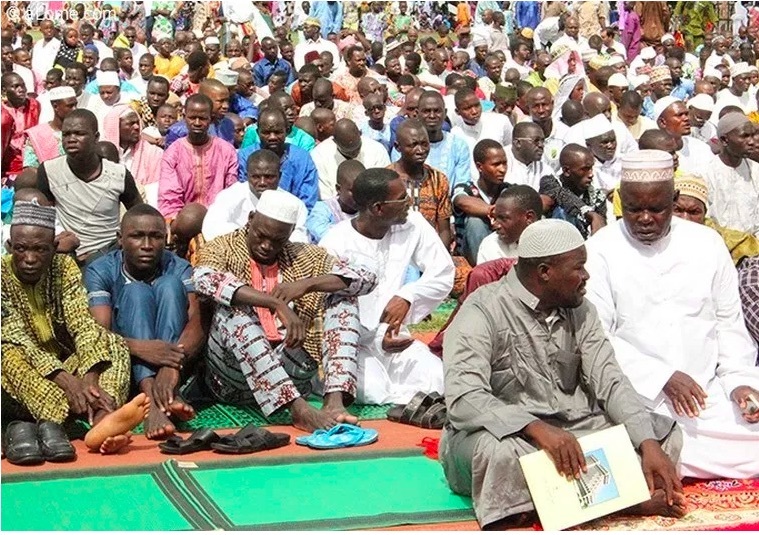 The Association for the Culture of Peace and Sustainable Development, “The Pacific”, organized on Saturday, March 2nd in Lomé, the 4th edition of the “Pacific Forum” which aims to “raise awareness among Togolese religious communities on the theme of living together “. This edition has the theme “Living together in a plural community: complementarities and responsibilities”. It allowed the association to raise consciousness of the participants, including ambassadors Islamologists, academics, Muslim and Christian faithful on the themes of solidarity, cohesion, fraternity that are important elements in the building of a nation. The work took place in two panels namely “the contribution of foreign communities to the development of the host country” developed by the ambassadors of Niger and Senegal in Togo, Mrs. Sidibé Fadjimata Maman and Ms. Binéta Samba Ba respectively and “Hosts and foreigners : responsibilities in Islam” developed by the vice president of the Muslim Union of Togo (UMT), El Hadj, Sanni Karimou, Mr. Tchagbélé Ahasse, assistant professor at Kara University and by Mr. Diouf Alioune, lslamologue, communicator and historian. “The organization of the fora aims to create a climate of harmony between the foreign communities living in Togo and the Togolese. This explains the holding of this high-level meeting, which brings together ambassadors, Islamists and academics around the themes of living together and mutual acceptance between communities, customs and religions,” said the president of the association, EI Hadj Moitapari Kouko. The president of the association “The Pacific” recalled that last year his association organized a forum inside the country (Tchamba) and that he thinks to repeat this experience. The fora are organized in the interior of the country in order to bring the populations of these cities to accept each other, to love each other, to live together in solidarity and peace, he said. Founded in 2015, “The Pacific” publishes a magazine focused on understanding the values ​​and main principles of the Muslim religion. It raises awareness about the coexistence of beliefs and religions as well as customs and populations. September 24, 2018. It is with immense sadness that we announce that Ambassador Mohamed Sahnoun, former President of Initiatives of Change International, died on 20 September 2018. Mohamed Sahnoun was chosen by two UN Secretary-Generals as their Special Representative in some of Africa’s most intractable conflicts. They knew him as a man with a remarkable ability to persuade warring factions to meet and talk. FThis was partly a product of his wide experience as a diplomat. 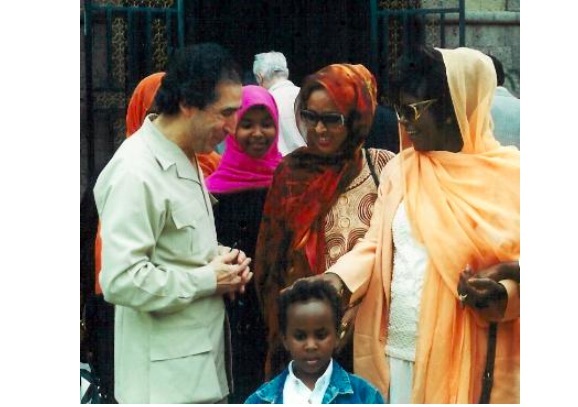 He had been Deputy Secretary-General of the Organisation of African Unity and of the Arab League. He had served as Algeria’s Ambassador to Germany, France, the USA and Morocco. But even more, it was a product of his approach to life. As a young man, during Algeria’s struggle for independence from France, he had been arrested by the French authorities and severely tortured. Yet as a diplomat he established warm relations with French leaders. As he said later, ‘My passion is to save endangered populations from the extreme insecurity of war, famine, drought and disaster,’ and he sought to enlist all who could help in that task. His approach did much to resolve the tensions arising from the process of decolonisation across the African continent. His help was sought in situations large and small. His most satisfying task, he said, was mediating the transition of South-West Africa into the new country of Namibia. But he also dealt with innumerable places where towns and villages, divided by colonial straight-line borders, had to be adjusted. Sahnoun was often the person who mediated a solution. UN Secretary-General Boutros Ghali chose him as his Special Representative to Somalia in 1993, when the country had erupted into severe conflict. Sahnoun reached out to all sides, and a basis for resolving the conflict was emerging. Then Boutros Ghali told him that the USA intended to intervene militarily. Sahnoun protested vehemently and, when told that the decision had been made, resigned. The US intervention was a disaster. Sahnoun was always searching for more effective ways to bring peace. He supported the UNDP initiatives for ‘human security’, which focused on meeting the basic needs of citizens and thereby overcoming insecurity. He advised UNESCO on its Culture of Peace programme and advised Kofi Annan on environmental and development issues. 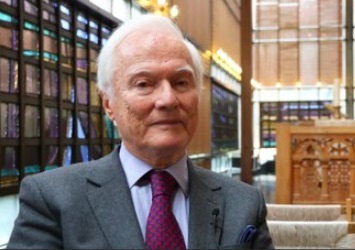 He was a member of the Brundtland Commission. 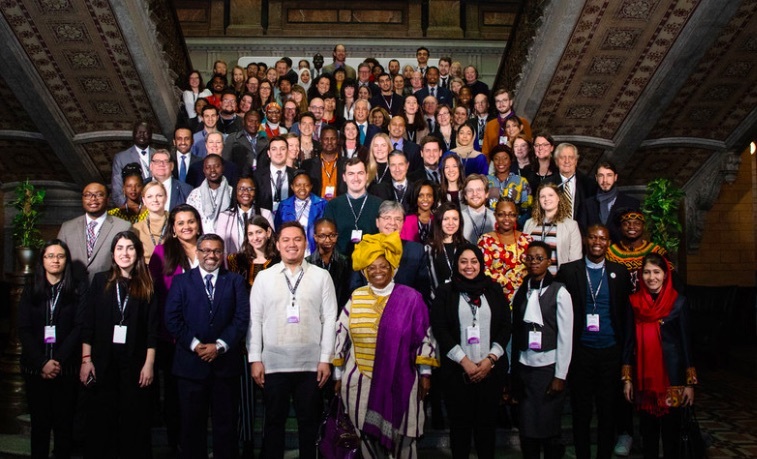 The Caux Forum brought together several hundred people each year, who explored these five concerns jointly. Many initiatives have emerged. In Eastern Europe there is a new emphasis on uncovering and healing the wounds resulting from war and authoritarian rule. And Caux is now doing much to bring the importance of land restoration to international attention. Sahnoun served as President of Initiatives of Change International for two years [2007-2008], and his insights have helped shape Initiatives of Change programmes throughout the world. Watch Mohamed Sahnoun’s opening speech of the 3rd Caux Forum for Human Security in 2010 and an interview with him in 2011. Pope Francis said on Wednesday [February 6] he hoped his historic trip to the Arabian peninsula will help dispel the notion of an inevitable clash of civilizations between Christianity and Islam. “In an era, like ours, where there is a strong temptation to see a clash between Christian civilization and the Islamic one, and even to consider religions as a source of conflict, we wanted to send another clear and decisive signal that encounter is possible,” he said at his regular general audience. Francis was referring to a document he signed during the trip with Sheik Ahmad el-Tayeb, grand imam of Egypt’s al-Azhar mosque and university, one of the most authoritative theological and educational institutions in Islam. On the plane returning from Abu Dhabi on Tuesday, a reporter asked Francis about possible negative reaction to the document by Catholics “who accuse you of allowing yourself to be used by Muslims”. 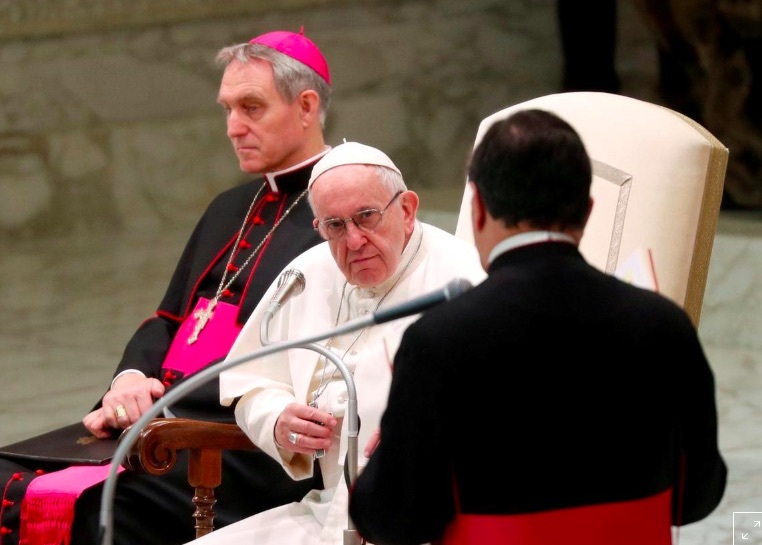 But he said “from a Catholic point of view, the document had not strayed a millimeter” from teachings on inter-religious dialogue approved by the 1962-1965 Second Vatican Council. “If anyone feels bad, I understand. It is not an everyday thing. But it is a step forward,” he said on the plane. 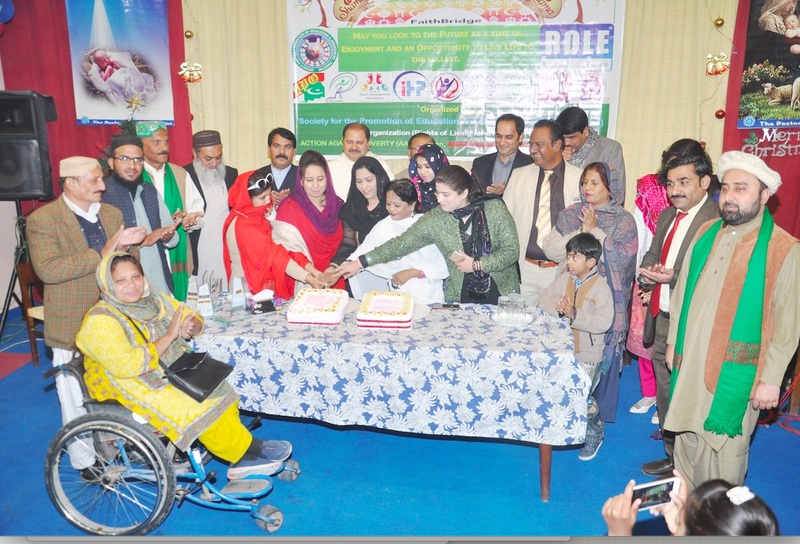 ROLE (Rights of Living for Everyone) Organization, the Society for the Promotion of Education and Awareness (SEAP Pakistan), and the AMAAN Development Organization with the collaboration of Action Against Poverty (AAP) and Hafeez Ghee & General Mills Private Limited organized Interfaith Christmas Celebration and Interfaith Prayer and Thanks Giving Award Distribution Ceremony to thank God Almighty and pay tribute to the volunteer services of committed and dedicated CSO Leaders, Journalists and faith based leaders. The event featured participation from a wide variety of Muslim & Christian denominations and representatives of Hindu and inclusive religious communities. We came together to give thanks for the blessings we have received throughout the year of 2018 and pray for the 2019. Prayers, sacred writings, reflections and meditation were woven together with a common theme of gratitude from many traditions. The event took place at Pastoral Institute, Naqashband, Multan on 31st December, 2018. The program started with a recitation from Holy Quran and the Holy Bible along with Bhajan, Naat and Christian hymns. In the beginning, Marcus Younas gave an introduction of the program, giving thanks to the blessings of God Almighty. Then, the speakers gave their view point on the topic “How Celebrating Religious Festivals Together can promote Interfaith Harmony and National Solidarity”. Professor Abdul Majid Wattoo, Yasmin Khakwani, Karamat Jameel, Sarfraz Clement, Abdul Hanan Haidri, Ghazal Ghazi, Naeem Iqbal Naeem, Makhdoom Tariq Abbas Shamsi, Allama Syed Mujahid Abbas Gardezi, Muhammad Amir Mehmood Naqashbandi and Rev. Fr. Dr. Jamshed Albert Gill O.P. (Director, Pastoral Institute, Multan) talked on this occasion highlighting the common values and traditions of various faiths with logics of how celebrating religious festivals together can promoted interfaith harmony and national solidarity. They appreciated the initiative of host organizations also for awards to be given for the services rendered by religious and civil society leaders for the promotion of interfaith harmony, peacebuilding and tolerance among the people of various faiths of Pakistan. Lastly, Ms. Kiran Iqbal (CEO, ROLE Organization, Multan) thanked all for their participation and shared that our joint work can be strengthened only if we support each other by bridging the gaps and joining hands together for peace, harmony and solidarity. Fifty Awards were given to pay tribute to the volunteer services of committed and dedicated CSO Leaders, Journalists and faith based leaders. The event ended with Cake cutting for Christmas and New Year 2019 along with dinner for all. These were the words of Fr. Bonnie Mendes, a Pakistani Catholic priest of Faisalabad, former regional coordinator of Caritas Asia, reported January 8, 2019, by Fides News Agency. He commented on the publication of the “Islamabad Declaration”, in which over 500 Muslim religious leaders publicly condemn terrorism, violence committed in the name of religion and fatwa (sacred edicts) widespread by radical ulemas. The declaration was signed in Islamabad, the capital of Pakistan, during a gathering organized by the Pakistan Ulema Council (PUC). 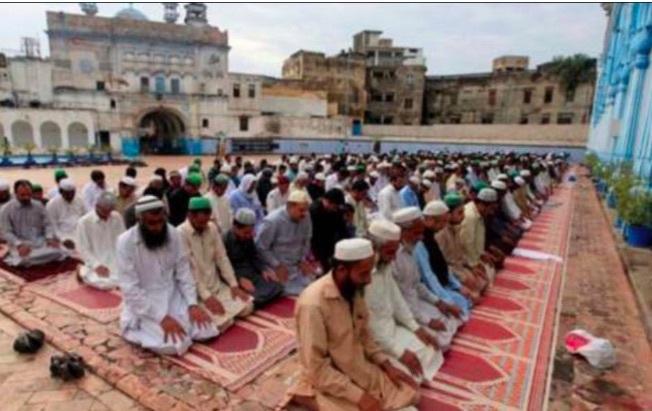 The initiative, according to observers, represents a turning point especially in the attitude towards religious minorities and Islamic sects the “Ahmadi”. In fact, the Declaration recognizes that Pakistan is a multi-ethnic and multi-religious country, and notes that “it is the responsibility of the government to ensure the protection of the life of non-Muslim citizens in Pakistan”. Among the main contents, the murders committed “under the pretext of religious belief” are condemned, observing that this “is contrary to the teachings of Islam” and states that “no Islamic sect must be declared unfaithful”, noting that all citizens, whatever their religion or sect, “have the constitutional right to live in the country following their cultural and religious principles”. Continuing in establishing the principles of religious freedom, the text establishes the right for religious groups to organize themselves autonomously and asks civil authorities to ban “any material (books, pamphlets, audio) that incites religious hatred” and to punish anyone that threatens “the sacred places of non-Muslims”, implementing “the national action plan against extremism”. 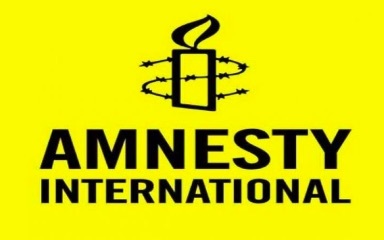 The religious proclaim 2019 as a “Year to annihilate terrorism, extremism and sectarian violence from Pakistan”, reiterating that “non-Muslim citizens must enjoy the same rights as everyone else”. Sabir Michael, an activist for human rights and minority rights, told Fides: “We appreciate and acknowledge the efforts of the Pakistan Ulema Council (PUC) to stop extremism and contribute to tolerance, peace, justice, and equality in society. It is necessary to promote and spread this message to the communities. In the past, solemn declarations such as this, are not very successful, now the government and religious communities must work together in this direction: let us not lose hope for the good of the country”. The mayors of the three major Italian cities refuse to submit to controversial anti-immigrant law, passed at the initiative of the interior Minister Matteo Salvini, considering it unconstitutional. Salvini on Thursday demanded the resignations of the mayors of Florence, Palermo and Naples, the latter strengthened the scandal, is also offering to host migrants in distress at sea, which Italy rejected. “This law incites crime, and not fighting or prevents it. It violates human rights. There are thousands, tens of thousands of people who have been legally resident here, who pay their taxes, pay pensions, and in a few weeks or months they will become… illegal immigrants,” said the mayor of Palermo Leoluca Orlando. Tough new anti-immigrant law passed by the Italian Parliament on 28 November, facilitates the expulsion of new arrivals and limit the residence permit in the country, which has become the main gate for migrants crossing the Mediterranean sea. It also cancels humanitarian residence permits issued to people from risk groups, families or single women with children. He then offered to take the 32 migrants who are blocked at sea after they were rescued by a ship of non-governmental organizations. * Mr. Jan-Willem Bult, Head of Children & Youth Media and Chief Editor of WADADA News for Kids.